SoCal will be hot on Tuesday, with temperatures reaching the 90s in some areas. 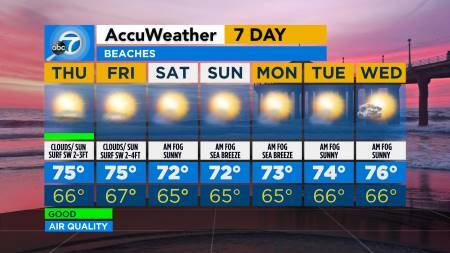 LOS ANGELES (KABC) -- Temperatures will get pretty warm in Southern California on Tuesday, but a cooldown and chance of rain is on tap for the weekend. 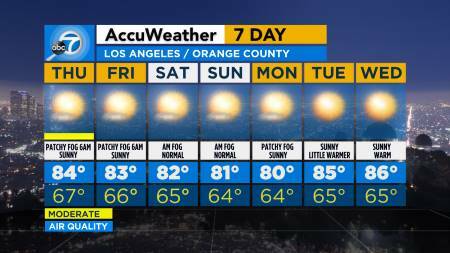 Los Angeles and Orange counties will start Tuesday with a few clouds in the morning, but temps will shoot up to 85 by the afternoon. They'll drop to the 70s later in the week with a 20 percent chance of rain Sunday. 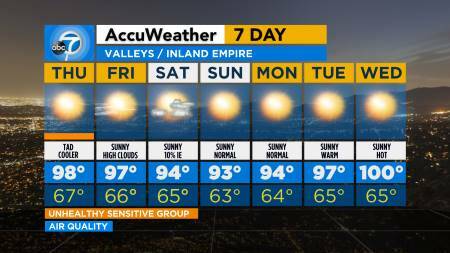 Valleys and Inland Empire regions will see a hot Tuesday hitting 91 and then staying in the 80s until the weekend. Beaches will see a few clouds in the morning, with temperatures reaching the mid-70s. 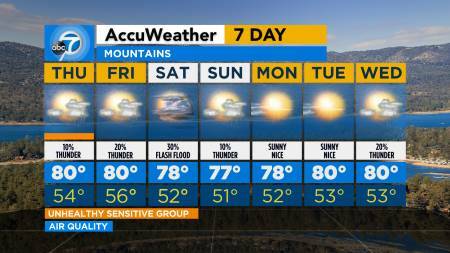 Mountains could see a chance of a few showers Tuesday morning, with a high of 66 degrees. 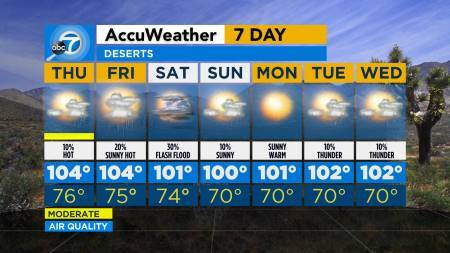 Deserts will be sunny and breezy with a high of 86.